As mentioned in reason 2 of our previous post about Reasons to be proud of Colombia, a big wave of investments has been reaching the capital of the country, Bogotá, ranking the city as 2nd city with the most investments in Latin America for this year ahead of cities like Miami and Santiago de Chile. 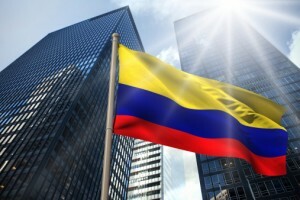 Here are 8 reasons that explain this phenomenon and why you should invest in Colombia. 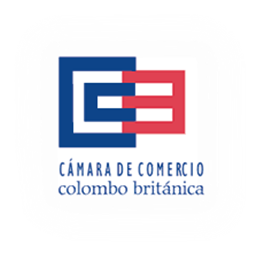 The Colombian economy is one of the most stable in Latin America, which is which results in a steady economic growth over the last decade which is higher than the regional average, with a stunning 8% growth in 2007. GDP growth has slowed to 4.6% in 2014 but is foretasted to pick up thereafter. Macroeconomic indicators reflect the stability of the country; inflation has stabilised from over 30% in 2000 to 1.8 in 2015. The country’s external debt has also decreased from £756.51 million in January 2015 to £-128.37 million in April this year. Despite the idea one might have, Colombia is the most ancient and stable democracy of the South American continent. Foreign investment has grown considerably over the last 5 years jumping from £4,120.68 million in 2010 reaching £10,284.45 million in 2014, of which a big share comes from over 700 multinational companies. The country offers foreign investors the possibility to sign a legal stability contract, which guarantees them standards will be maintained over a period ranging from 3 to 20 years. Colombian employees are among the highest qualified of Latin America, as the country indeed has a very good education system (literacy rate of 94.2%). Salaries in the services and handling sectors are highly competitive compared to those of countries from the same area. Located in the middle of the American continent, Colombia is a strategic point between the different markets of the region. The country has modern port infrastructures on the Pacific and Atlantic Oceans, which makes trade extremely simple with countries in Asia, Europe and with the United States. Trade in Services Agreements – TiSA (Canada, USA, Mexico, Costa Rica, Panama, Colombia, Peru, Paraguay, Uruguay, Chile, European Union, Iceland, Norway, Switzerland, Liechtenstein, Turkey, Israel, Pakistan, South Korea, Hong-Kong, Taiwan, Australia and New-Zealand). With 48.32 million inhabitants, Colombia is the 2nd most populated country in South America: its capital Bogota has a population of 7 million. The cities of Medellin, Cali and Barranquilla have each over 2 million inhabitants, each witnessing a strong growth in terms of investment and industrialisation.